Seaside resorts—with massive pools, landscape to tend and mountains of laundry to wash—are among the largest water-consuming businesses aside from agriculture. One famous resort in Santa Barbara is a 360-room ode to SoCal luxury. A guest reclined next to the pool, sipping a 93-point Pinot Noir, might find it easy to put all troublesome thoughts aside. But the resort’s outdated, wasteful water softening system wasn’t nearly as serene. The 10 red, white and blue trucks in the Matilija fleet can be seen in and around Santa Barbara on a daily basis. Environmental sustainability is something that resort management takes seriously, so late last year they began searching for solutions. With the help of nearby Matilija Pure Water Systems, they’ve recently made water- and salt-saving strides. Southern California’s water is hard, anywhere from 25 to 50 grains, and total dissolved solid levels range between 600 to 1,000 PPM. It’s this—along with a more recent emphasis on conservation—that has created high demand for water quality specialists in the Golden State. The two alternating, 30-cubic-foot mineral tanks now provide ample, continuous treated water at the resort. And in Santa Barbara, Matilija Pure Water Systems leads the pack. The nearly-70-year-old firm provides uncompromising water quality service to the greater Santa Barbara area. 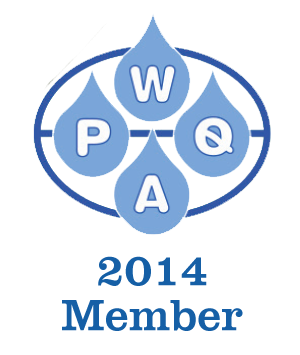 All of their field staff either hold WQA (Water Quality Association) certification, or are working though the Professional Certification Program. And each technician carries a $500 well water test kit. 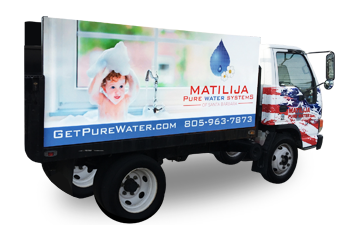 As the largest locally-owned water treatment company in the area, Matilija’s 10-truck crew focuses on residential and commercial water filtration, softening and purification. Their technicians maintain the systems they install, right down to scheduled salt deliveries. The existing, 30-year-old water softening system at the resort included two, 60-cubic-foot mineral tanks. The steel vessels are so large that they were put in place before construction of the facility was compete. Raley wondered if it was worth the expense to replace the media. After inspection, the answer was a resounding “no.” When the system was installed in 1986, it was generously sized to serve the entire resort. Not long after, plumbing changes across the 24-acre property removed half the load from the big system. Even so, the system wasn’t performing. Because of its huge volume, replacing the softener media would have been 25% of the cost to replace the entire system. Within three weeks of the initial visit, Masse had designed a new system and the project went out to bid. In just a few short weeks, the resort would have a system that cut their salt use in half while actually delivering soft water. General manager Matt Raley displays one of Matilija’s food grade filter systems. In late June, with Masse leading the charge at the resort, a subcontractor was hired for extra manpower on the fast-paced project. With the laundry and main water heaters depending on the water supply, resort management wanted the task completed in a matter days. Despite being half the size of the original mineral tanks, it was no walk in the park getting the new units in place. There was no room to install the new system next to the old one, so water lines needed to be piped into the adjacent boiler room. The new tanks were lowered over a handrail and eight feet down into the mechanical space. A large, three-way bypass valve was installed right away, and new schedule 80 PVC was suspended from ceiling anchors. Hernan Martinez, service department manager, moves a water softener exchange tank. The entire eight-day project was a race against the clock. Hiring the extra help played a key role in the success of the project, and so did familiarity with the products used. Matilija Pure Water Systems’ dedication to superior product and service is apparent. If one look at an installation isn’t convincing enough, the fact that they have between 3,000 and 5,000 reoccurring customers tells the rest of the story. It comes as no surprise that a resort that’s known for an uncompromising guest experience would hire water quality experts with the same reputation.